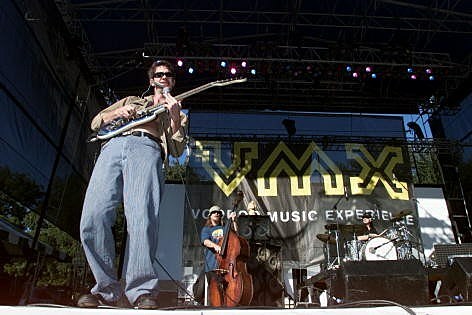 G. Love and Special Sauce are bringing their blues infused hip-hop to the Wilma Theatre in Missoula on March, 7, 2012. As of the typing of this post, tickets are still available...but you need to act fast! Details here. Fresh off a solo album produced by The Avett Brothers, G. Love successfully embraced the original spirit and sound that has cultivated over his entire career. I don't think that sound can fully be embraced without the supporting musicianship of Special Sauce though, and Montana is pleased to welcome the duo's smooth and unique style! On their second release for Brushfire Records, the Philly boys offer up Lemonade, a series of soul drenched tracks oozing that unique sound. This is a show not to be missed!